Full Text Made available under a CC BY-NC-ND 4.0 license with support from the University of Bonn. David Kaldewey is professor for science studies and science policy at the University of Bonn. He holds a doctorate in sociology from Bielefeld University. He has published widely on the changing relationship of science and politics, particularly on transformations in the identity work of scientists and policy makers. Désirée Schauz is a senior researcher at the Göttingen Academy of Sciences and Humanities. Before, she was a Dilthey Fellow at the Technical University of Munich, funded by the Volkswagen Foundation. She holds a PhD in modern history from the University of Cologne. She has published widely on the role of concepts in science policy. Basic and Applied Research Edited by David Kaldewey and Désirée Schauz is available open access under a Creative Commons Attribution-NonCommercial-NoDerivatives 4.0 International License (CC BY-NC-ND 4.0) with support from the University of Bonn. Introduction: Why Do Concepts Matter in Science Policy? Chapter 9. 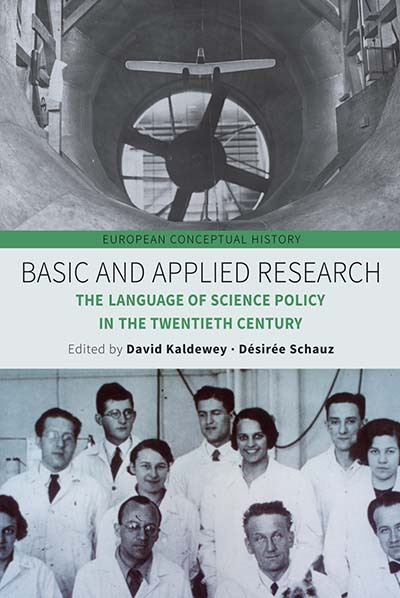 The Language of Science Policy in the Twenty-First Century: What Comes after Basic and Applied Research?